It is a new curved geometrical light that pushes the boundaries of thin sheet etched metal fabrication. 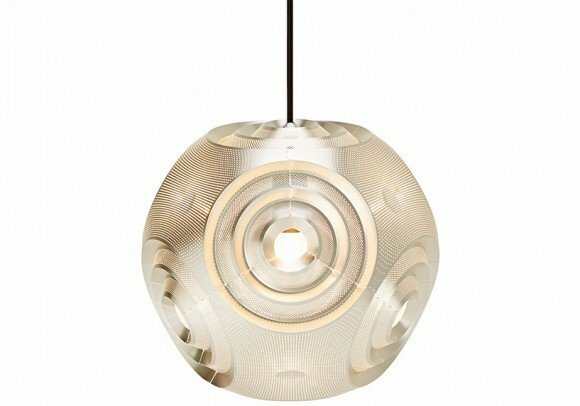 With its microscopic precision-pierced surface and soft nickel silver coating Curve internally reflects and emits a filtered glow of ethereal light. This 32cm version of the Curve Pendant is the smaller of the two options, why not mix and match with the rest of the range.